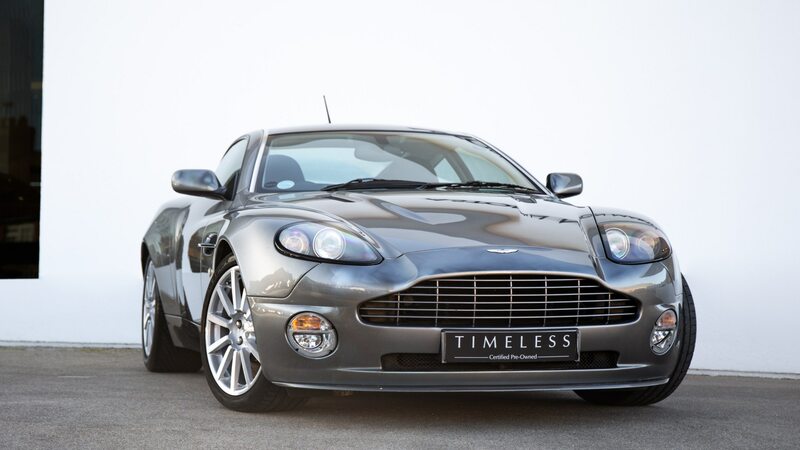 / Classic Cars / Which of These Aston Martins Would You Most Want to Own? Aston Martin is a brand that prides itself on its past cars. For proof, look no further than Aston’s Works department, which can do everything from change the oil and tires on a 1990s DB7 to performing a full, ground-up restoration of a 1950s DB2/4. Aston is also active in the vintage-car community and is showing a selection of its heritage cars at this year’s London Classic Car show in England. Most are for sale, so the question is: Which one would you take home? 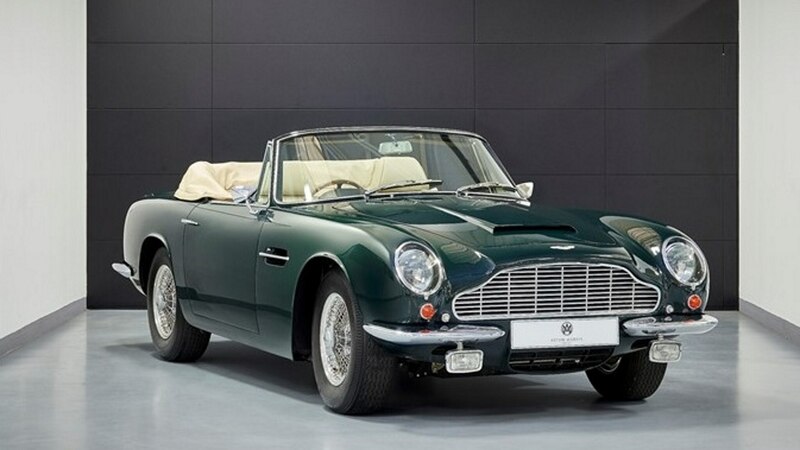 The oldest of the group is a 1969 DB6 Mk2 Volante, fresh off a restoration at Aston Martin Works and finished in its original livery of Goodwood Green over beige. Second-series touches include flared fenders to contain wider wheels and tires, while underhood sits a 4.0-liter, twin-cam straight-six engine. When new, the model was offered by Aston Martin for scarcely over a year and just 38 were made—one of which is owned by the Prince of Wales. This car is being offered for 1.5 million pounds (approximately $1.9 million). If that’s too rich for you, what about a 2002 V12 Vanquish S? With an asking price of “just” 149,950 pounds (around $193,000), you could own this 200-mph luxury coupe with some of the most eye-pleasing contemporary styling around. 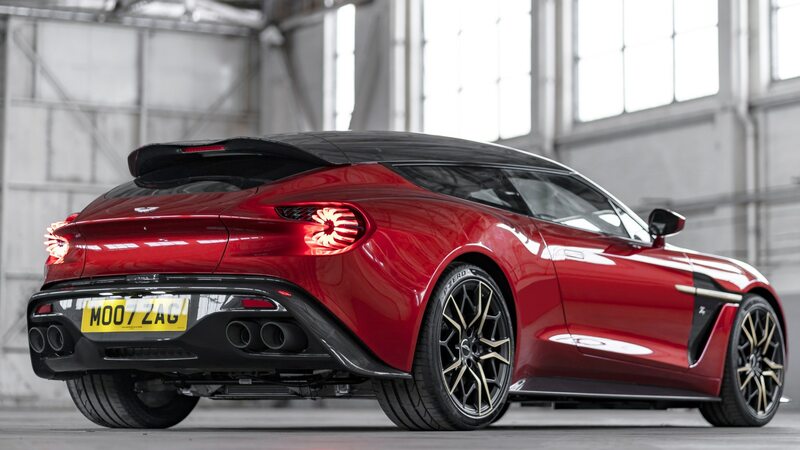 The S version of the Vanquish upped output from 460 horsepower to 520, and also brought along revised gear ratios to take full advantage of the extra grunt. Tungsten Silver paint is possibly the perfect color for the Vanquish and the model was the last to be built at the historic Buckinghamshire plant. 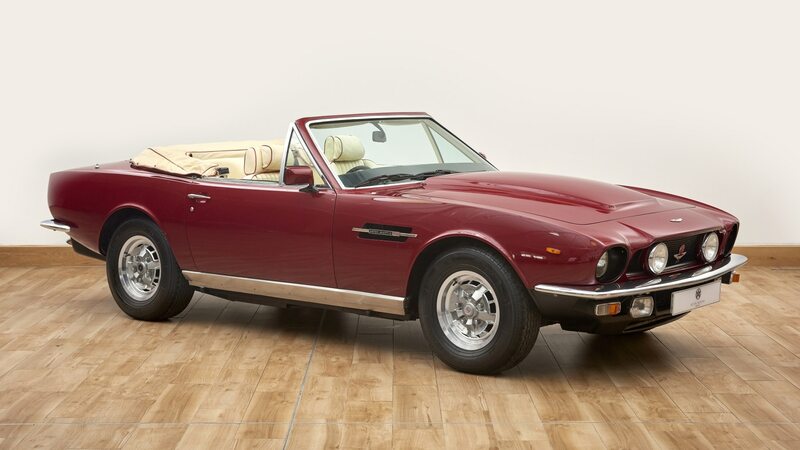 Cars from the 1970s are in high-fashion these days and Aston has you covered there, too, with two AM V8 models from ’74 and ’78. The coupe (pictured below) and convertible are priced at 129,950 pounds ($167,000) and 225,000 pounds ($289,000), respectively, and both are Series 3 cars with 5.3-liter V-8 engines making roughly 310 horsepower in the 1974 model but 305 by the time emissions controls had their way with the 1978. 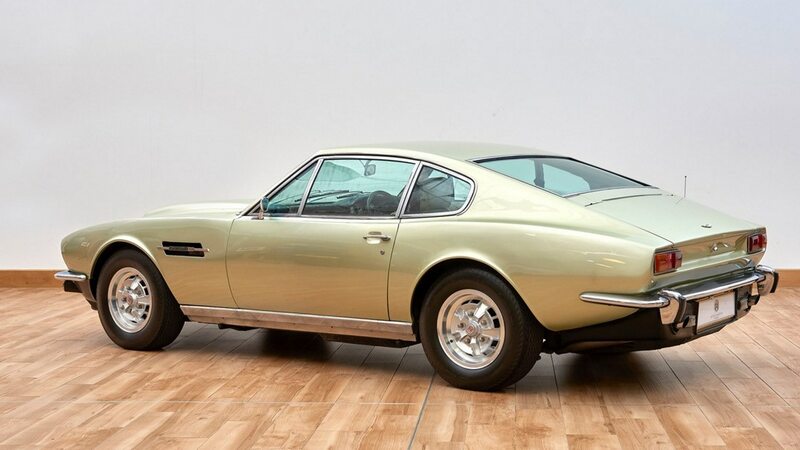 Alas, probably the most unique Aston of the bunch isn’t for sale—it’s merely on display. The Vanquish Zagato Shooting Brake is one of just 99 examples planned and is really the last of a breed at Aston Martin. 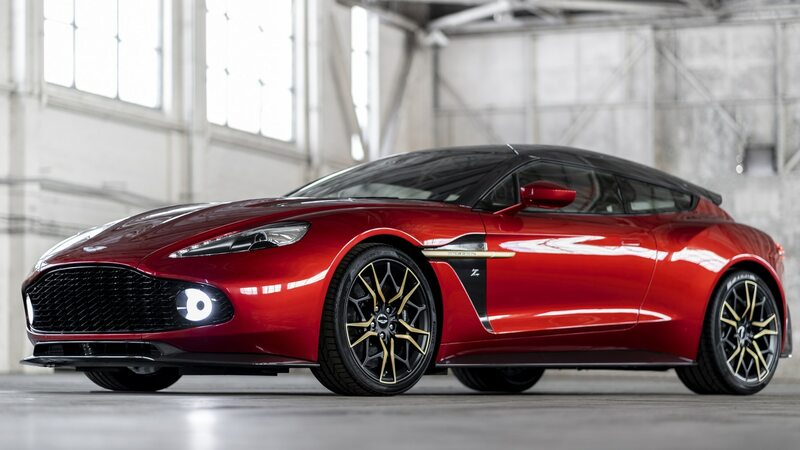 Being based on the outgoing Vanquish, it’s one of the last Aston Martins to carry a naturally aspirated, 5.9-liter V-12 engine and it’s said that the steering and suspension are tuned specifically for this limited-run model. Said to cost somewhere around $750,000 when new, it’s perhaps best that the owner isn’t letting it go—we can’t afford another mortgage.